One of the biggest challenges on YouTube is to get your viewers to remember your product so that they can eventually be converted into customers. Over the last couple of years YouTube have provided us many tools which help us create a brand around our product and bring our viewers back to our videos. Subscribing your video viewers to your YouTube Channel is as important as signing your website visitors to an autoresponder. Once a viewer is subscribed to your channel he will get regular updates for every video you add. So basically he will keep getting all your updates on a regular basis both through email notifications and on YouTube. 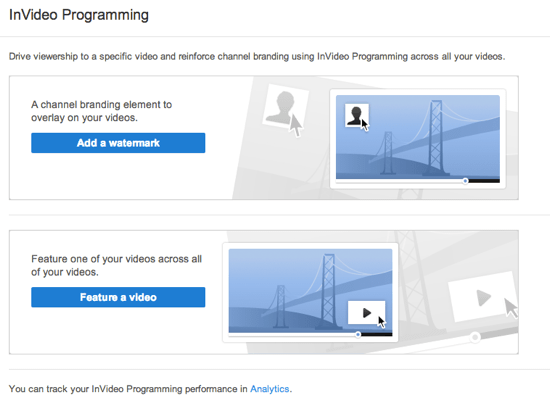 YouTube very prominently features video from a person’s subscribed channels on user’s dashboard and search results. 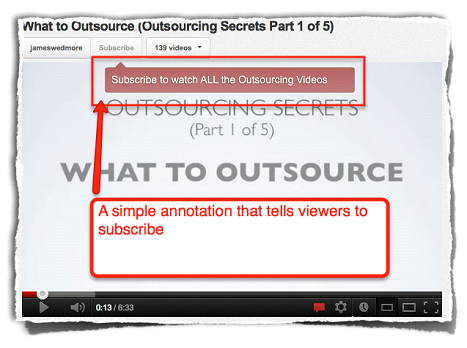 The good thing is that Annotations provide us an excellent way to subscribe our viewers to our channel right from within our video in one click. This is even easier than asking someone to add his email address in a form. YouTube has in fact created a dedicated subscribe button (much like the Like Button of Facebook) which you can add to your website as well. This is a very effective way to get regular access to your viewers. Once you get a substantial following to your channel it is much easier to get repeated views to your videos and push your brand effectively. For example, try out this button below! Here are a few simple tips which can help you bring your brand and get more subscribers to your YouTube channel. Create a channel avatar/logo and add it to all your videos. With YouTube Invideo Programming option you can also add this logo as a watermark to all your videos. This will help your viewers quickly recognize and connect your videos to your product and will immensely help in the overall recognition of the brand without obstructing the content of your video. Your YouTube Channel Art is a common banner which will feature across your channel on desktops, tablets and mobile phones. This provides you a great opportunity to bring the flavor of your product and website to your YouTube channel. This will also make sure that your channel look attractive across all platforms like TV, Desktop, tablets and mobile phones. You should treat your Channel’s Title, description and tags to very important as this is what can help you get your channel in Youtube and Google's search result. The rules for keyword research and writing an attractive title is similar to what we discussed in our previous post. Your YouTube channel trailer allow you post a customize video trailer for new visitors. A good trailer can substantially increase subscription rates for your channels. YouTube allow you to create channel sections based on tags. Each section has its own unique URL which you can link to via annotations inside your videos. Using these simple tips you can optimize your YouTube channel to provide a great experience to your viewers.